stock image of The astonishing Lagoon of the Seven Cities Lagoa das 7 cidades , in Sao Miguel Azores,Portugal. Lagoa das Sete Cidades. 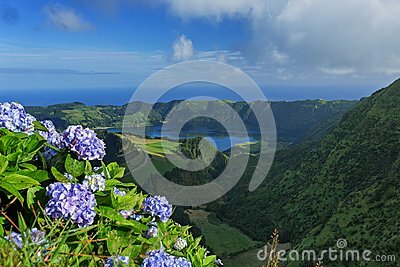 stock image of Panoramic landscape of lake Sete Cidades lagoon in Azores.